Text and photos by Kasia Kowalska in Procartoonists. 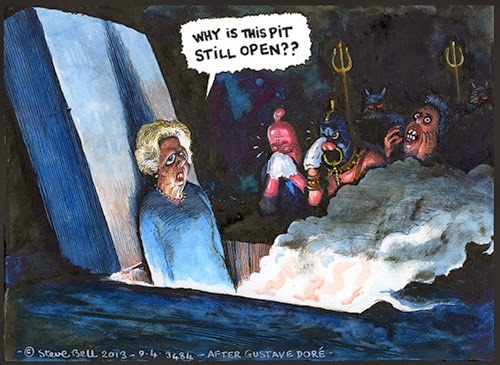 Steve Bell was announced the winner of the coveted Gillray Cup for Political Cartoon of the Year for his portrayal of Margaret Thatcher, above, with Andy Davey as the runner up. Morten Morland was named 2013 Political Cartoonist of the Year. 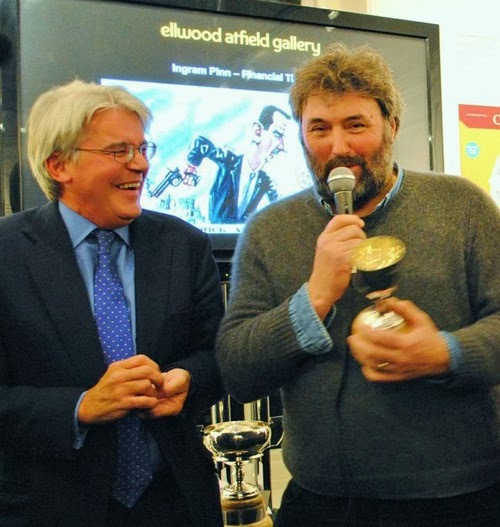 presents Steve Bell with the cartoon of the year award. 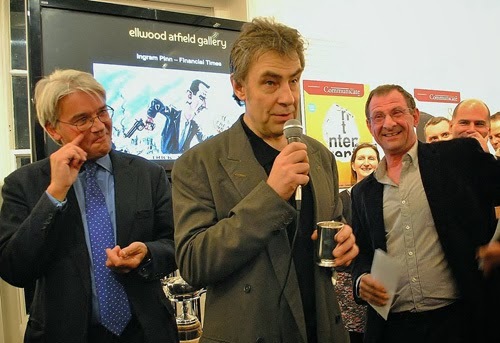 Andy Davey accepts his award, flanked by Andrew Mitchell and Tim Benson. 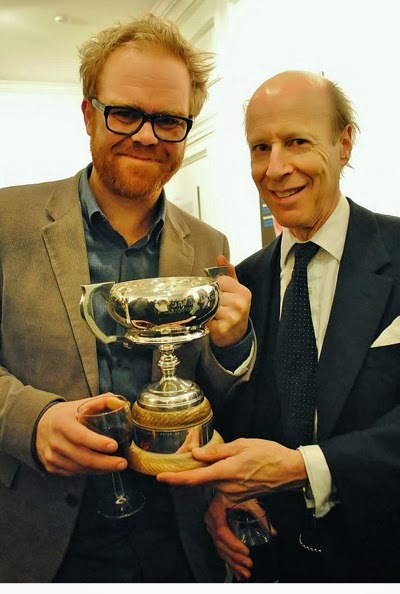 Political Cartoonist of the Year Morten Morland, with the cartoon collector Geoffrey Buchler. The Story Behind "Saying Grace"